When given the option, most people would probably choose a dentist who extends his neighbor-like kindness to every interaction he has—especially if it takes the pressure off a routine or emergency dental visit. Luckily for patients of Dr. Robert (“Bob”) Nunn, they don’t have to choose. They can expect his friendly, caring demeanor at each and every visit. Originally from Buffalo, Missouri, Dr. Nunn completed his undergraduate studies at Drury University and received his D.D.S. designation in 1988 from the UMKC School of Dentistry. For the past 29 years he’s provided general dentistry services ranging from routine preventive care to fillings to implant restorations for youngsters and adults alike—all at the same south Springfield location where his practice began. Dr. Nunn encourages all his patients to receive regular checkups in order to minimize dental problems. His experienced staff members share the same caring attitude, providing patients with a pleasant experience from the moment they arrive. 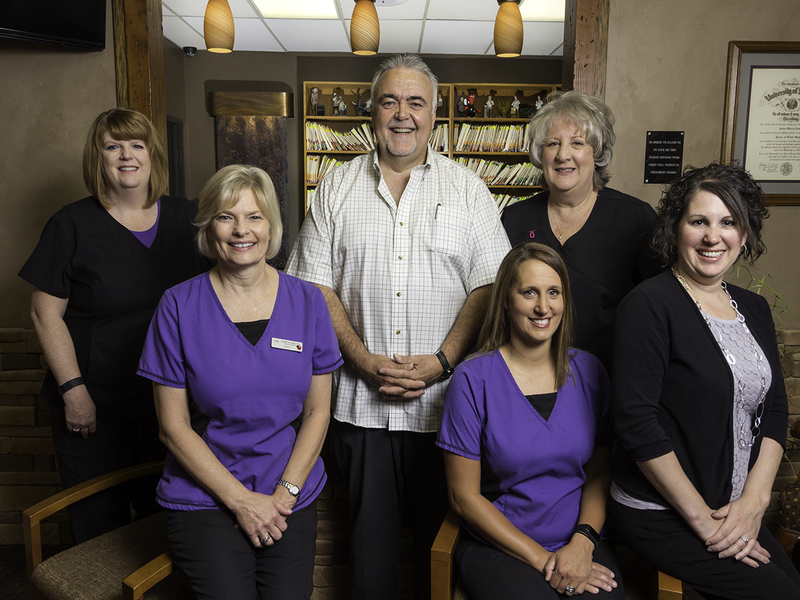 His lifelong mission has been to provide quality dentistry in a comfortable, calm, welcoming environment.